Having worked for The Walt Disney Company for some 25 years, Duncan Wardle now serves as an independent innovation and design thinking consultant, helping companies embed a culture of innovation and creativity across their entire organization. Leveraging a unique Design Thinking process, Duncan's clients include Coca Cola, Disney, Forbes, Ford, Johnson & Johnson, McKinsey and the NBA. Most recently Duncan was Vice President of Innovation & Creativity for The Walt Disney Company. The Creativity Team works across Disney's Theme Parks, Pixar, Marvel, Lucas Films, ESPN, Animation and Imagineering, as "creative ideation consultants" and "cultural change agents;" using a creative problem solving process that captures unlikely connections, leading to both fresh thinking and revolutionary ideas. In 2008, he was honored with the "Outstanding American Citizen Award" at the White House, and in 2014 he was awarded an Hons. Doctorate from Edinburgh University. He also holds the Duke of Edinburgh Award, presented by Her Majesty the Queen. I believe that everyone is Creative. I also believe that the ability to think Creatively is the one core human truth that will remain relevant in the brave new world of Artificial Intelligence. But haven't we all been told we're not creative? So many times in fact, that we end up believing it. But weren't we all kids once? Indeed, it is that childlike curiosity that led Einstein and Edison to discover major new theories and Disney and Jobs to create major new industries. But hasn't our education and corporate structure taught us that there is only one right answer, so much so, that we all stopped looking for the next one? Now combine our lack of creativity and curiosity with the real world around us. Drones will most likely make fireworks irrelevant in less than a decade. 3D printing will most likely make the traditional tool industry obsolete in the next few years too. So how will we survive if we keep doing "business as usual," iterating to achieve quarterly results vs innovating to survive? How can we embed a sustainable culture of innovation and creativity throughout our organizations, rather than leaving it to the few? Leaning on 25 years with the Walt Disney Company, most recently as Head of Innovation & Creativity, I am now on a mission to prove that everyone is creative, by designing a tangible innovation tool kit that normal people can use to "Think Different;" to solve real challenges back in the marketplace. During my talk, I will demonstrate a series of unique Creative Behaviors and Innovation Tools that deliver revolutionary thinking and substantial business results. I will also showcase how at Disney we shifted from product centric culture to a consumer centric one, with surprising results and how by starting with the end user in mind, rather than focusing on the bottom line, we revolutionized the theme park going experience. Ever wonder why your best ideas come to you in the shower? Or why that killer comeback one-liner always comes to you 5 minutes after the argument is over? Have you ever asked yourself how Einstein, Disney and Edison innovated? Or wondered how some people develop breakthrough ideas that revolutionize an industry? 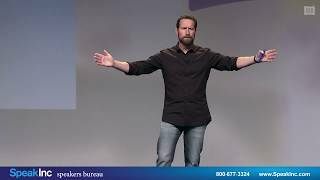 Through his "Think Differently" presentation, Duncan shares a series of case studies from his time at Disney and immerses the audience in a unique set of Innovation Tools and Techniques that everyone can use to think and act more audaciously and get to breakthrough ideas. Disruption is inevitable and part of our everyday lives. So, how do you make Innovation a part of everyone's DNA? How do you create a culture that embraces risk and entrepreneurialism, which allows everyone to innovate? 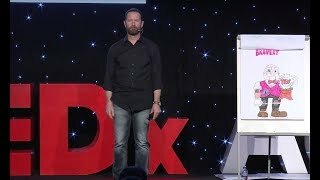 During this presentation, Duncan shares how he infused a culture of innovation with a startup mindset across one of the most creative companies in the world, by using a unique innovation toolkit. Disruption is now a part of everyday life. So how do you make Innovation a part of everyone's DNA? How do you create a culture that embraces risk and entrepreneurialism, allowing everyone to innovate? Here Duncan shares how he infused a culture of innovation with a start-up mindset, across one of the most creative companies via a unique innovation toolkit. How does Disney create a culture of creativity across everything it touches? Based on 25 years working with Disney, most recently as Vice President of Innovation & Creativity, Duncan shares some of the key creative techniques and behaviors he uses to develop big, innovative ideas. During this presentation, he stirs and unleashes the audiences' creative juices. What if you could learn a series of practical Design Thinking tools that you could actually use to create ideas that are embedded in consumer truth and drive business results? Duncan creates a deeply engaging, immersive presentation that not only answers these questions but also leaves the audience with a series of practical tools to take on challenges in new and different ways. How could we deliver breakthrough innovation by uncovering unique insights and pushing past our river of expertise? Leaning on 25 years of experience heading the Innovation & Creativity team at Disney, Duncan has created a unique insight gathering process that has led to some revolutionary new products and services. During this presentation, he shares a tangible collection of tips and techniques to uncover insights that fuel innovation.